Real Madrid launched a spectacular fourth quarter comeback to stun Anadolu Efes Istanbul and move into a share of second place with a 82-84 victory at Sinan Erdem Dome. Madrid trailed by 15 late in the third quarter but a sensational display from Gustavo Ayon allowed the Spanish side to roar back with a 8-24 partial score in the fourth quarter. Ayon led his team superbly, providing 20 points on 10-of-11 two-point shooting while also grabbing 11 rebounds and 2 steals, and dishing 3 assists. Madrid also had 12 points from Sergio Llull upon his return from injury, and Trey Thompkins paired 10 points with 5 assists. Efes was paced by 19 points from Adrien Moerman, while Vasilije Micic combined 15 points and 8 assists. Shane Larkin added 14 points and Tibor Pleiss had 13. The points flowed freely early on as Anthony Randolph netted a pair of three-pointers. Moerman’s big dunk sent Efes ahead, but Llull responded with consecutive triples. 5 straight points from Pleiss restored Efes’s lead, and baskets were traded evenly as the first quarter finished 23-23. It stayed close early in the second, with Ayon scoring 6 for Madrid but James Anderson and Dogus Balbay sinking triples for Efes. Larkin made all 4 free throws after a technical foul and Rodrigue Beaubois completed a three-point play, but two more baskets from Ayon kept it close. Moerman scored 10 quick points including two triples, making it 52-45 at the break. Jeffrey Taylor scored the first 5 points of the second half, but Micic scored a driving layup and one before unanswered triples from Moerman, Larkin and Micic stretched the lead to 69-54. Campazzo ended Madrid’s five-minute drought with a three-point play and Thompkins converted a three-pointer, but Micic struck from deep again to make it 74-60 after three quarters. Campazzo netted a triple early in the fourth and Gabriel Deck made a layup and one to cut the deficit into single figures. Ayon scored two alley-oops before Beaubois settled Efes nerves for a 79-72 lead, but Ayon scored again and then took an offensive rebound to set up Thompkins for a triple. Foul shots made it 82-81 inside the final minute, when Llull’s free throws sent Madrid ahead with 17 seconds left. Micic missed a three-point attempt and Madrid held on. 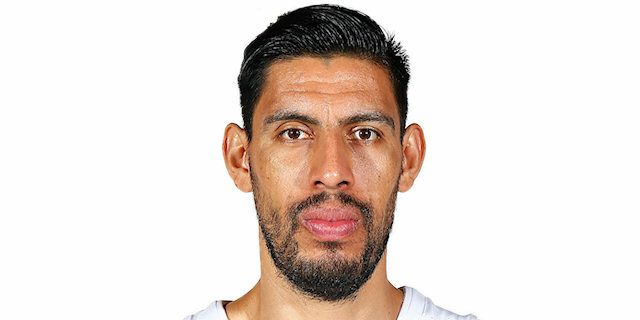 Gustavo Ayon’s statistics – 20 points, 11 rebounds, 3 assists and 2 steals – speak for themselves, but they don’t show how the Mexican stepped up when his team needed him the most. Early in the fourth quarter, with Madrid down by 8, in the space of four minutes Ayon scored 8 points, grabbed 4 rebounds, blocked a shot and dished an assist to get the visitors back in contention. 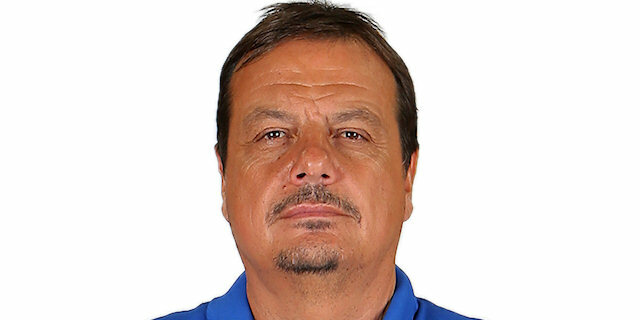 Without him, Madrid would have lost this game. After missing three games, Madrid welcomed back iconic leader Sergio Llull and he soon showed what had been missing by sinking consecutive triples midway through the first quarter. 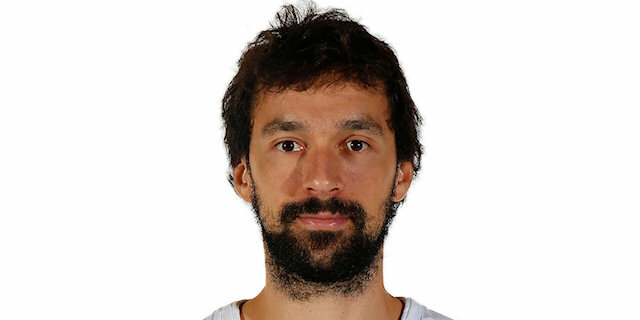 Later on, though, he was fortunate to stay in the game – early in the third quarter Llull was called for his second unsportsmanlike foul, which would have led to ejection, but it was reduced to a normal foul after a video review. That meant he was able to complete an eventful return to action by scoring the winning free throws. Defeat was harsh on Efes forward Adrien Moerman, whose numbers for the night nearly matched Ayon’s. He scored 18 points on 5-of-6 two-point shooting and 3-of-4 three-pointers, as well as 10 rebounds, 3 steals, 1 assist and 1 blocked shot for a PIR of 33. Moerman also scored his team’s last field goal of the game, but ultimately it was not enough. Madrid has a special date to enjoy next Thursday evening: a home meeting with arch-rival FC Barcelona Lassa. Efes will seek a return to winning ways with a road trip to Olympiacos Piraeus.